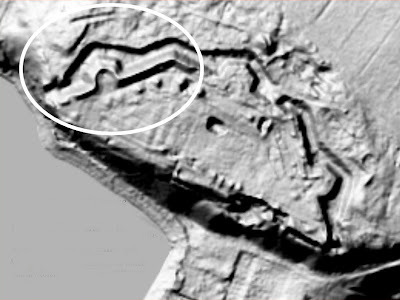 2017 LIDAR Image of Fort Haldimand, section circled in white shows about 400 feet of undisturbed outer earthworks. 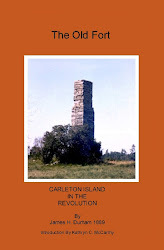 Posted by Blue Ledge Systems Inc.
Moore called "Secrets of Carleton Island." 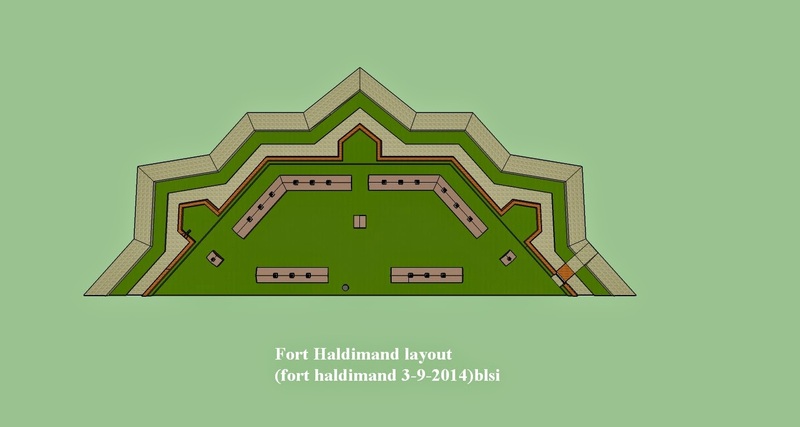 with information about the 1970s underwater excavation of a revolutionary war ship and computer models of Fort Haldimand. North Bay Wreck Page updated. 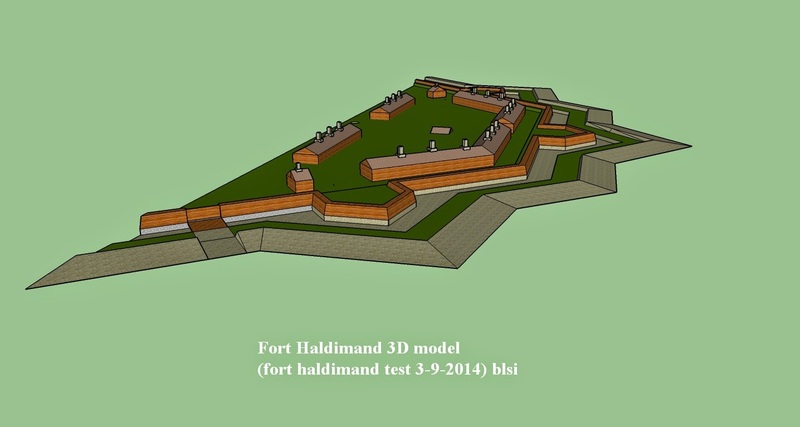 As part of the effort to develop a computer model of Fort Haldimand a reference sketch has been developed to identify major features with their historical references. Over the next few posts each item in the sketch will be reviewed. This will be the basis of the next model. 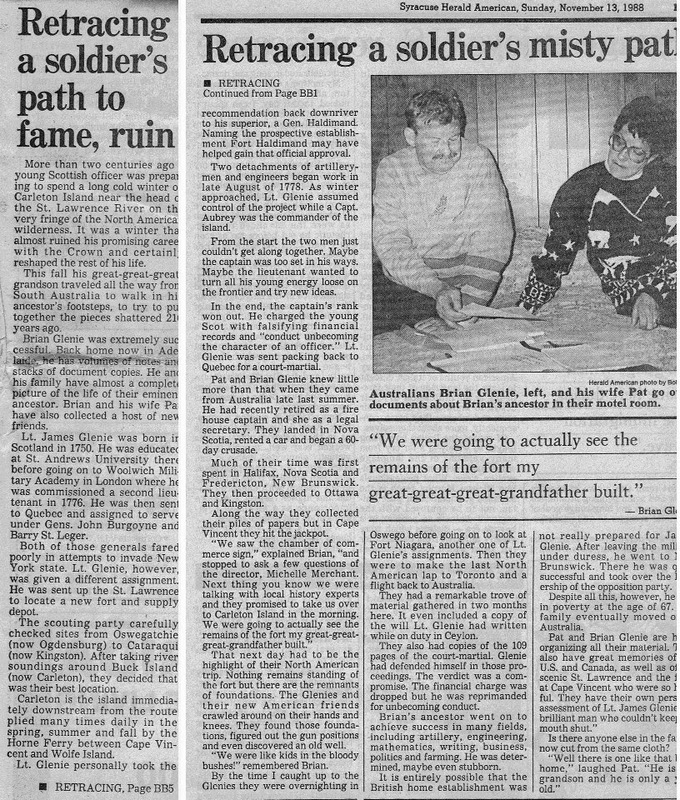 The 1988 Syracuse Harold America story “Retracing a soldiers past" tells of a visit by the great great great grandson of James Glenie to Carleton Island. 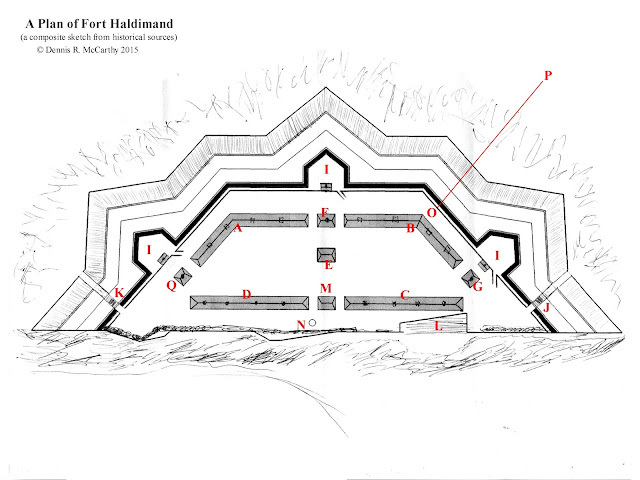 Lt. James Glenie was one of the key individuals in the construction of Fort Haldimand. View of the ruins of Fort Haldimand from late nineteenth century post card. 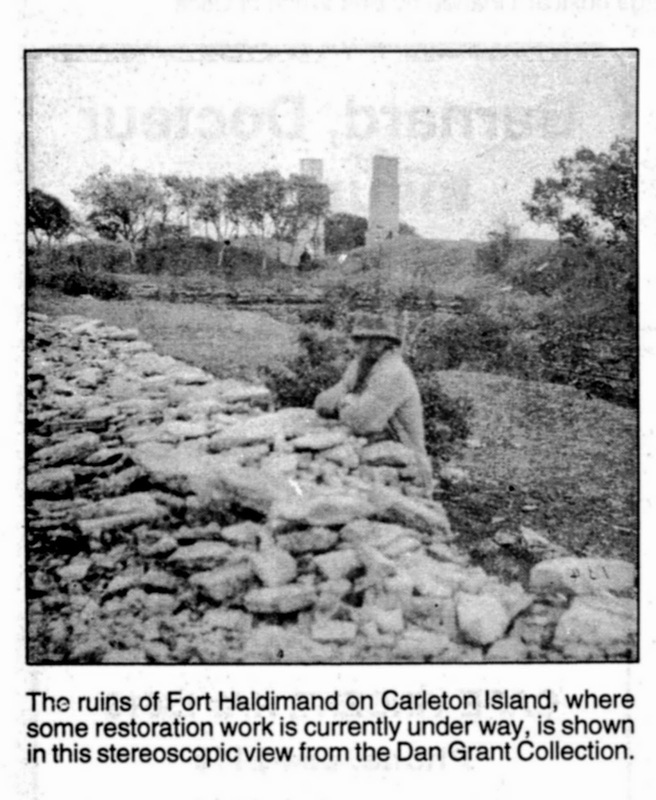 Newspaper clipping at the Thousand Island Museum in Clayton NY shows a view of the remains of Fort Haldimand seen from the glacis with man standing at on the covert-way. Near intact chimneys in background. Image taken in the late nineteenth century. 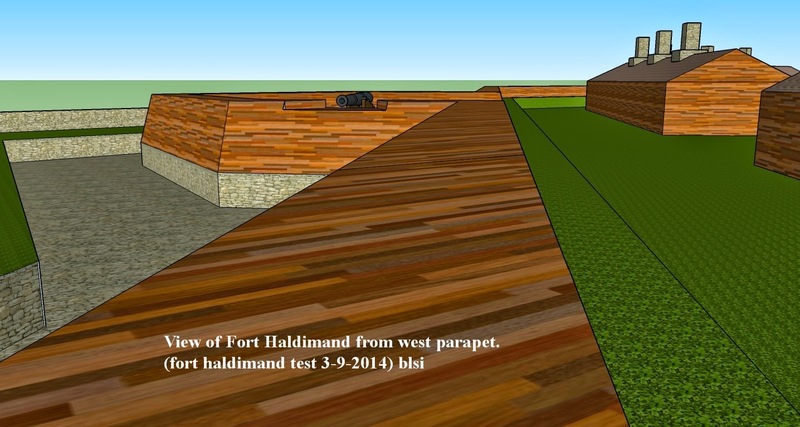 The remains of Fort Haldimand as viewed today are impressive but only a small portion of what once was one of the most important posts on the Great Lakes during the Revolutionary War. Ravaged by the elements, overgrowth of vegetation, relic hunting, land clearing and natural aging, what remains provided clues to what the base once was. 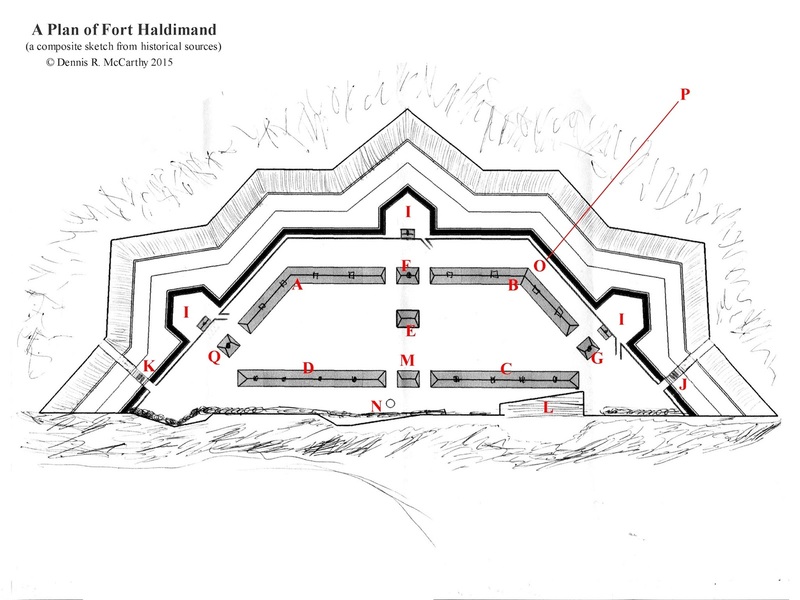 Using historical documents, first hand accounts and maps, SRHF will compile a physical description of the fort when it was at its prime. Satellite and aerial photograph will be combined with surveys from the 1800's to present refine details. The resulting information will become the basis of the computer model. 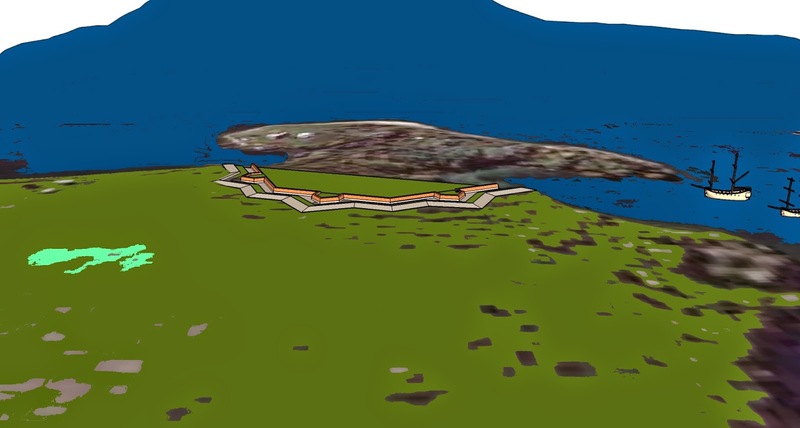 The advantage of the computer model is that will not be encumbered by properly access and can be updated easily as new information becomes known. 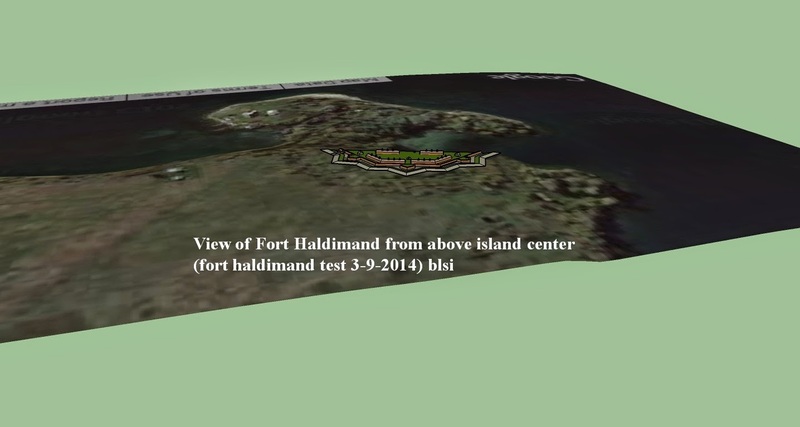 The long term goal will be to make the computer model available either on the internet or at an information center in the Thousand Islands area. The model building process will involve virtual low detail simulation-based models that will be the basis of an eventual photo realistic rendering solution. 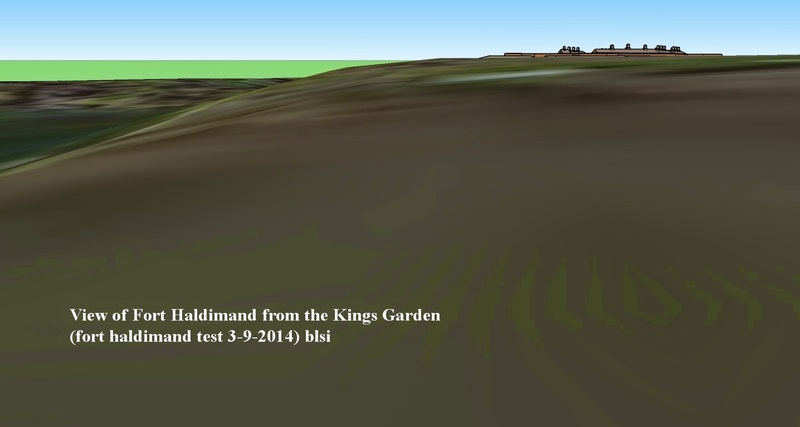 The following are some computer simulations used in a project feasibility study. 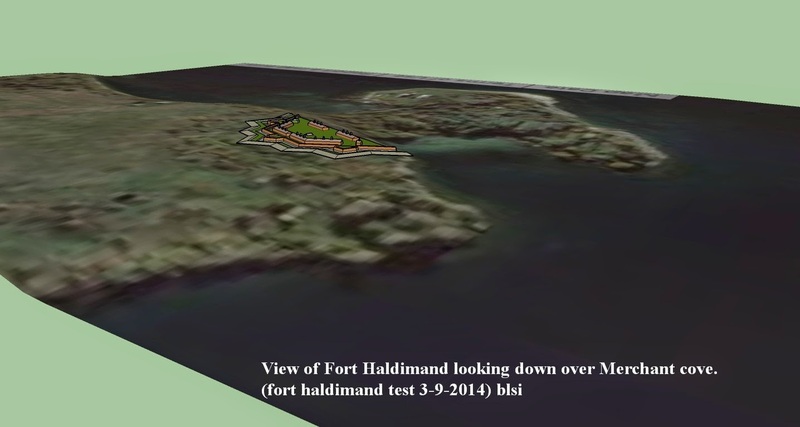 This web site dedicated to the memory of Fort Haldimand and the Revolutionary War military post on Carleton Island. 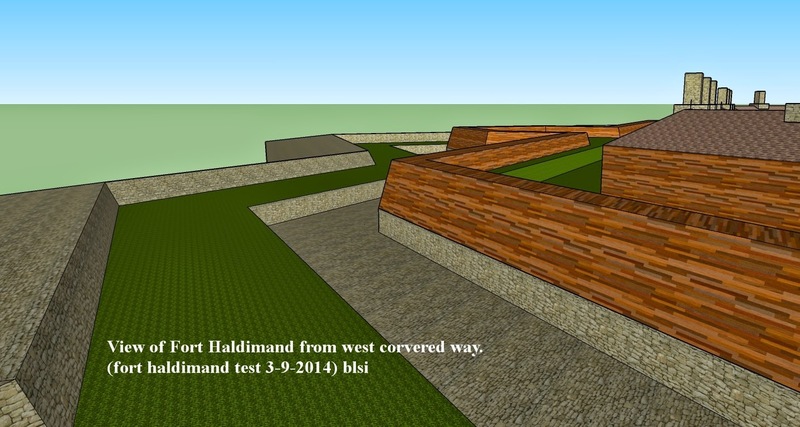 A project of the St. Lawrence River Historical Foundation Inc. The material on this site is from historic, public and individuals sources as noted. Simple theme. Powered by Blogger.